Do you have plans for Labor Day Weekend in Atlanta? With the Chick-fil-A Kickoff Game that weekend, football fans will also be flooding the city and looking for things to do. Fill up your coolers, put on your jerseys, cheer on your favorite teams, and get ready for the start of college football season! Here are the top list of events happening this Labor Day Weekend in Atlanta! It’s been a long eight months without college football – but who’s counting? Celebrate the season’s opening this Saturday as the Auburn Tigers take on the Washington Huskies at the Chick-fil-A Kickoff Game at Mercedes-Benz Stadium. Kickoff is at 3:30 p.m. on Saturday, Sept. 1, but there’s plenty to do around the city all weekend long. Get in the team spirit with hundreds of fellow fans at Tailgate Town, a free, outdoor pre-game event at the Georgia World Congress Center with live entertainment, contests and other fun freebies from 10 a.m.-3:30 p.m. on Saturday. Head over to the world’s largest aquarium for an up-close look at marine life from dolphins to whale sharks. 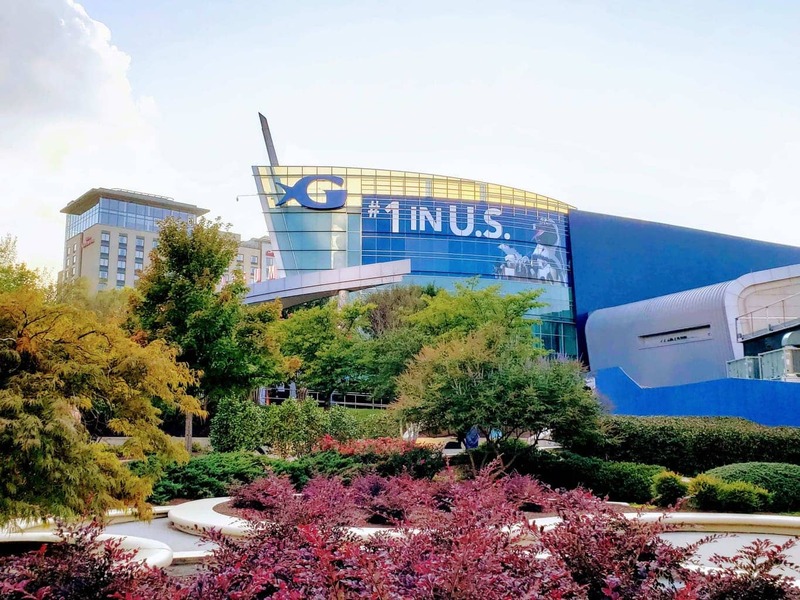 In honor of the Chick-fil-A Kickoff Game, the Georgia Aquarium is offering 20 percent off general admission and animal encounters from Aug. 29-Sept. 5. Purchase tickets online here. All weekend long, literature lovers can check out the largest independent book festival in the country. The AJC Decatur Book Festival features book signings, author readings, panel discussions and more. The AJC Decatur Book Festival is the largest independent book festival in the country. Outdoor types won’t want to miss a visit to Stone Mountain Park, followed by the Lasershow Spectacular and a special fireworks display for Labor Day weekend. Need a break from the Atlanta heat? World of Coca-Cola is overflowing with refreshing moments and more than 100 drinks from around the world. If you’re thirsting for a deal, download the Coca-Cola App and scan 15 of your favorite Coca-Cola products to unlock one free general admission ticket to World of Coca-Cola. The offer runs through Oct. 9. Find out more here. What’s your plans for Labor Day Weekend in Atlanta?